So here's another Molli image that I wanted to share. I used Copic Markers to color the image after I selected my papers from the BasicGrey "Hey Girl!' paper pad. I haven't been using much ribbon lately, so I decided to keep the finished card somewhat simple and then adding bling with her earrings, necklace and shoes. I selected an all occasion sentiment so this one will go in my stash. So I finally had some time to color my new Molli stamps from Lala Land. When I saw the images I knew I needed them all. This is At The Beach Molli and I think she is so cute with her little umbrella drink. I see some fun paper piecing in my future for her clothing or it will also be a great opportunity to practice pattern coloring with my Copics. I must admit that I love her sparkly sunglasses and flip flops. I'm continuing to work on my photography to achieve a better representation of the coloring. Molli does have more of a 'tan' in real life. Thanks again for allowing me to share. Today I have another bird image to share along with some Color Burst. For this project I first stamped the image on watercolor paper and used a liquid mask over the image. 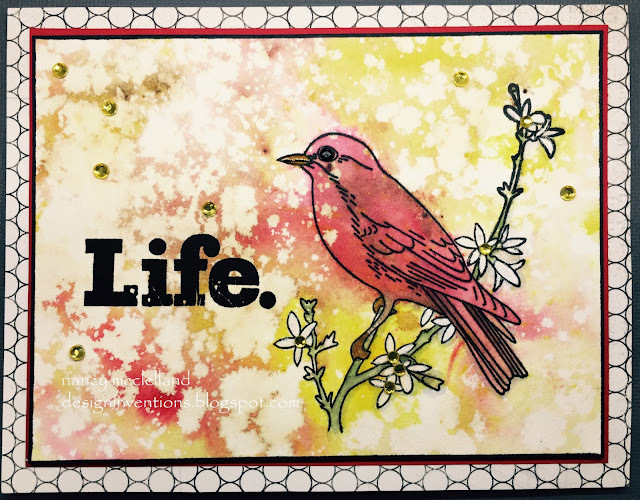 I then added the Color Burst to the card using the sprinkle method, which in my opinion gives you more control with the powder and I can focus/place color just where I want it. Next step is to spritz a small amount water over the powder, with the end result being more intense. I added a small piece of washi tape on two corners to add a little more interest. After removing the liquid mask, I colored the image with Zig Clean Color Real Brush pens, added a sentiment and its complete. Spending time in my craft room is so cherished for me, why does life have to get in the way. Sorry I haven't posted lately. I thoroughly love trying new techniques and today's post is my result. I'm obsessed with the new Color Burst product from Ken Oliver and all the fabulous results I can get. 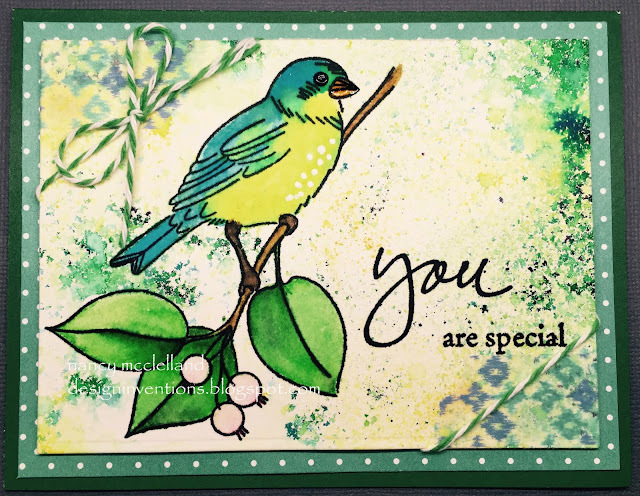 I stamped this bird image from Martha Stewart on watercolor card stock. I have been experimenting with Versafine, Ranger Archival and StazOn inks to see if there's any difference for me or if I like one better. I do like Versafine and Ranger the best because they are easier to clean up. but StazOn works fine. 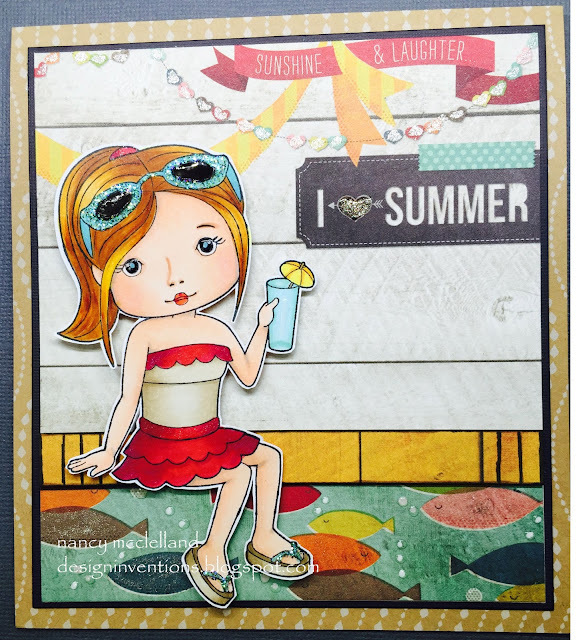 I used Versafine and my Misti to stamp this image and sentiment. I sprayed water on the card and then sprinkled the Color Burst pigment on the card front. I continued to spray more water until I got the background I liked also focusing the red in the area I had stamped the bird. After the paper was completely dry I spritzed bleach on the paper to achieve the spotty effect. I used a brush to bleach out the flowers and branches. Using Distress markers I placed color back on the branches and then added some bling to finish the card. I had a great time making this card and will do this again! Thanks for hanging in there and stoping by my little blog today. Well I got up to rain this morning and decided to just spend the day in my craft room. I had a couple of projects that needed to be completed and then I had a few other ideas banging around in my head. I found a blog and some YouTube videos with some very cool Bister and Color Burst techniques, so today I started to play and I finished six new cards. WOW, I think that's a record for me. 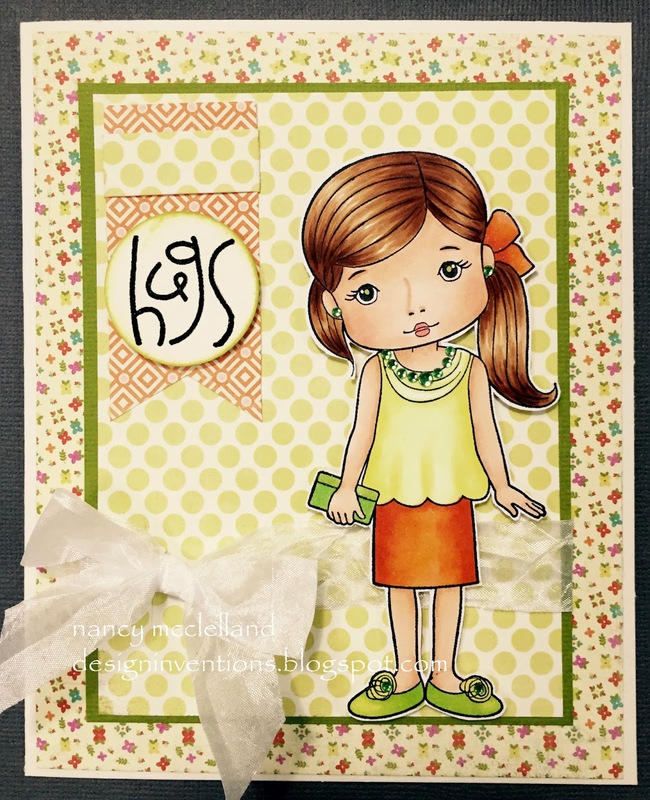 The card I'm sharing today uses many various stamps to create a card front. I had to do some masking, stamping and hand drawing to get this background completed. Most of the background color was created using Bister Powders. These products have more earth tone colors than the Color Burst, so I decided to use them for my background. After laying the color down for the background, I made a focal point with the circle around the butterfly. Now I needed to remove some of the color in specific places so I used bleach and a small paint brush to take color from the circle, buds on the tree, flower centers and a highlight area on the bird. 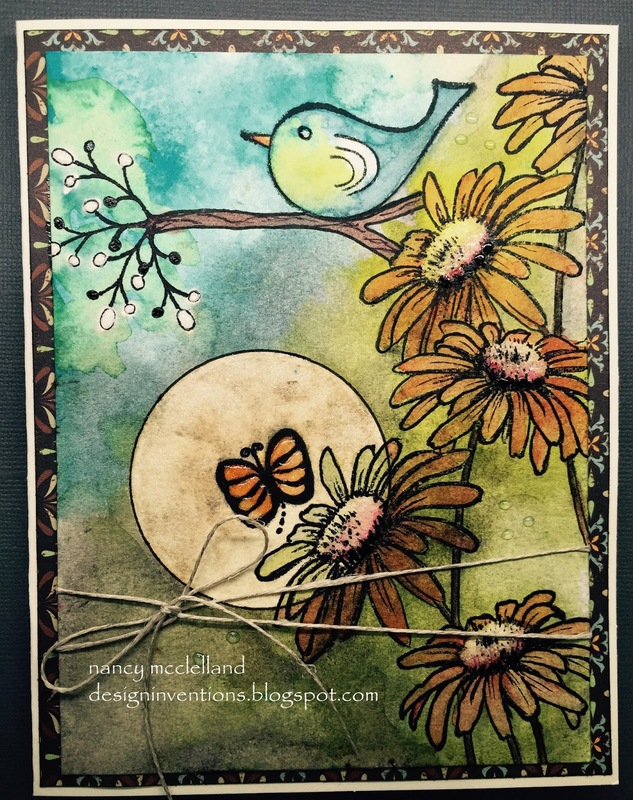 Using Distress pens I added some life back on the flower petals and the bird. Lots of Glossy Accents, Signo White pen and Wink of Stella have been used to finish this card off. This was something very different for me and I hope to make another piece soon. Thanks for stopping by today and let me know what you think. I recently purchased some Bister Watercolor Crystals/Pigment Powder. 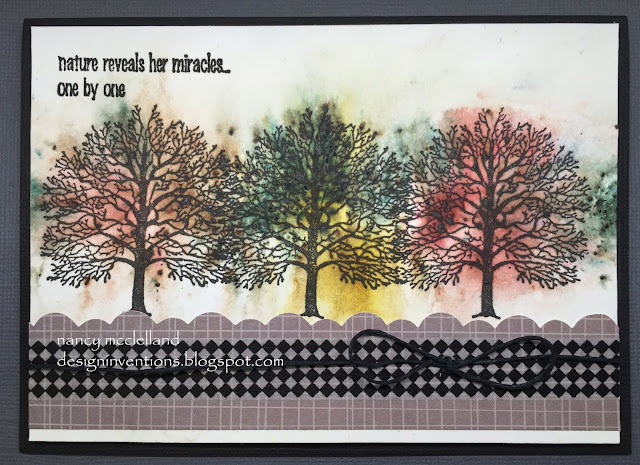 I was so impressed with the results plus the fun I've had with Ken Oliver's Color Burst, I decided that I wanted a few more muted colors to try. There are new colors coming from Ken Oliver later this month, but the Bister is available now. The two products virtually work the same with the same magic results. I used a very old tree stamp that I have, stamping it three time on watercolor paper. I used the sprinkle and spritz method (Ken's own terminology) to make the card. I used mahogany, yellow and green for this card. The green has photographed somewhat bluer than the actual color. These products are mega fun so if you have a chance to pick them up, I encourage you to give them a try.